The next time you hear about a brand-new marketing philosophy or an innovative process for fostering creativity and innovation, it may not actually be that new. Scott Design is celebrating 25 years this year, and though the tools we use to create, and the media our clients use to reach their customers may have changed since we started, the essentials of good design and effective marketing haven’t changed. Every project we work on presents the same challenge to create clear, concise communications to a targeted audience, with a compelling call to action. Timelines are always short, every piece needs to be well designed and error-free, and all of the many integrated pieces need to present a consistent branding story. Even if color trends change and font styles evolve, good design is timeless. Clean layout, natural hierarchy, organization of content, striking imagery, and clear copywriting are the best ways to engage an audience, wherever they are seeing your message. In 1993, most of our work involved designing and producing printed marketing pieces. 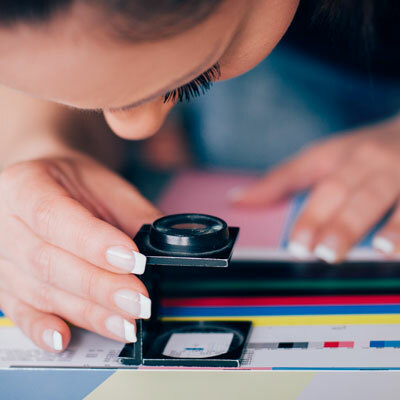 While the process of designing and producing brochures, packaging, and direct mail was the same as it is today, once the design was completed, we spent hours at press checks, making sure that everything looked great before a quarter-million pieces were printed and mailed. Now, our work ends up almost exclusively online, either as websites, emails, or web apps. Fortunately, if something needs to be changed after a website launches or an app goes live, we can change it instantly. The closest we get to our pre-press checklist — to avoid printing hundreds of thousands of brochures incorrectly — is going through our deployment checklist to prevent sending hundreds of thousands of people an email with an error in it. But the underlying processes, strategies, and philosophies haven’t changed all that much. Let’s take a look back at what some experts were saying about design, marketing, and innovation in 1993. It’s amazing how true these statements still are today. “We recommend another approach: strategic marketing investment. Companies can gain a competitive advantage over more established rivals by treating marketing expenditures the same way they treat capital outlays: as investments that drive revenue over time.” Adrian Slywotzky and Benson P. Shapiro, Leveraging to Beat the Odds: The New Marketing Mind-Set, Harvard Business Review, September/October 1993. “Even the best usability experts cannot design perfect user interfaces in a single attempt, so a usability engineering lifecycle should be built around the concept of iteration.” Jakob Nielsen, Iterative User Interface Design, IEEE Computer, November 1, 1993. “But I think the key to obtaining competitive advantage in the 1990s is making your customers feel like you designed a product specifically for them, that your product has special features or capabilities for which they would pay a premium. These technologists aren’t getting customer input on the current product line; they’re getting some feeling about how they might define a brand-new product that would do things differently. A company can’t accomplish this very well with marketing or salespeople. Such innovation requires engineers talking to customers.” Ed McCracken, Mastering Chaos at the High-Tech Frontier: An Interview with Silicon Graphics’s Ed McCracken, Harvard Business Review, November/December 1993. “It is not the large that will defeat the small. It is the quick that will defeat the slow.” Jay Finegan, Surviving in the Nike/Reebok Jungle: New Balance tries to compete in a shrinking industry dominated by intensely competitive giants, Inc., May 1993. “In every market, there are also important influencers who operate as informal opinion leaders. They are often heavy product-category users whom other, less knowledgeable users view as experts. … Exploratory market research may be necessary to identify these opinion leaders, but the rewards for doing so can be substantial.” Adrian Slywotzky and Benson P. Shapiro, Leveraging to Beat the Odds: The New Marketing Mind-Set, Harvard Business Review, September/October 1993. “Effective marketing relies on a two-way information flow between the marketer and the prospect. Marketers must collect detailed demographic and lifestyle information about large numbers of consumers in order to determine effective market segments. Then they must integrate this mass of information into a concrete understanding of what products different consumers want and what they’re willing to pay.” Jim Bessen, Riding the Marketing Information Wave, Harvard Business Review, September/October 1993. “The most important thing was to keep everyone up to date and to show concern. It’s a logistical nightmare but they did it, and I think they did it very well.…But once they got the president out there in the media he came across as very sincere, very concerned, and that was good.” Paul Holmes, How the Pepsi Syringe Hoax Fizzled, Holmes Report, July 1993. “We’re a better company when we have a competitor. Madison Avenue will be better, too. Why be scared of creativity? Open up the door and let the sun shine in.” Stuart Elliott, Advertising; Coca-Cola’s New Campaign Shakes Up Madison Avenue, New York Times, February 11, 1993. So the next time you hear about a brand-new marketing philosophy or an innovative process for fostering creativity and innovation, it may not actually be that new. It might just be what we’ve been doing for the past 25 years to complete thousands of successful marketing projects!